América and Cruz Azul face at Estadio Azteca, in a match for the 14th round of the Liga MX. At this stadium, the head‑to‑head history favours the home team, since they have a record of 5 wins and 4 draws in the last 9 matches. Sure enough, the last time these teams met at this stadium, on 17‑12‑2018, in a match for the Liga MX, América won by (0‑2). The goals of the match were scored by E. Álvarez (51' and 90' ) for América. In this match the home advantage may play an important role, since Cruz Azul presents significant differences between home and away performances. After 19 wins, 10 draws and 7 losses, the home team is in the 4th position, havinf won 22 points so far. In the last match, they have lost in an away match against Tijuana by (3‑2), after in the previous match they have won (3‑0) at home, against Tigres UANL. This is a team that usually maintains its competitive level in home and away matches, since in the last 30 matches they register 6 wins, 5 draws and 4 losses in away matches, with 22 goals scored and 19 conceded; against 10 wins, 3 draws and 2 losses at their stadium, with 31 goals scored and 12 conceded. In their last match, for the Copa MX, they got an away win against Juárez by (0‑1). 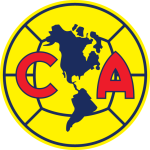 In the last 10 home league matches América has a record of 7 wins, 1 draw and 2 losses, so they have won 22 points out of 30 possible. The most recurrent result at half‑time in their home league matches was the 1‑0 (7 out of 18 matches). Their offense has scored consistently, as they have scored goals in 8 of the last 10 matches for this competition. There is a tendency for goals in their home matches, since 13 of the last 18 for this competition have ended with Over 2,5 goals. They have conceded the first goal in 10 of their 36 matches for this competition, and have never been able to turn the score around. Confirmed Lineup: A. Marchesín, P. Aguilar, J. Sánchez, B. Valdez, E. Álvarez, E. Aguilera, A. Ibarra, G. Rodríguez, M. Uribe, A. Ibargüen, H. Martín. The away team is currently in the 5th position of the league, with 22 points won, after 19 wins, 9 draws and 8 losses. In the penultimate match, they tied in an away match against Monterrey, by (2‑2). In the last match, they won in a home match against Querétaro, by (3‑0). This is a team that usually gets better results in away matches than at home, since in the last 30 matches they register 7 wins, 6 draws and 2 losses in away matches, with 19 goals scored and 11 conceded; against 7 wins, 3 draws and 5 losses at their stadium, with 20 goals scored and 15 conceded. 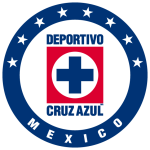 In the last 10 away league matches Cruz Azul has a record of 3 wins, 5 draws and 2 losses, so they have won 14 points out of 30 possible. Defensive consistency hasn’t been their best feature, as they have conceded goals in 7 of the last 10 matches, but their offense has scored consistently, as they have scored goals in 9 of the last 10 matches for this competition. In their away matches there is a tendency for few goals, since 15 of the last 18 matches for this competition have ended with Under 2,5 goals. In 36 matches for this competition, they have conceded the first goal 13 times and have only turned the score around in 3. Confirmed Lineup: J. Corona, A. Aldrete, J. Domínguez, P. Aguilar, I. Lichnovsky, O. Pineda, Y. Yotún, R. Alvarado, Edgar Méndez, M. Caraglio, M. Cauteruccio.